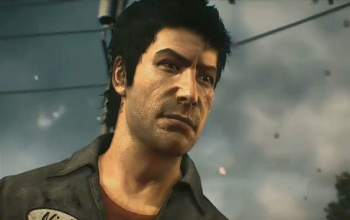 Dead Rising 3 goes open world and will integrate SmartGlass. Today, at Microsoft's E3 2013 conference, Capcom unveiled Dead Rising 3, which will be released as an Xbox One-exclusive this holiday season. No stranger to big environments, the third game in the series will expand on previous efforts, this time taking place across the open world city of Los Peridos. Fans of the series can, in turn, expect the franchise's trademark zombie hordes to be the largest the series has ever seen and on par with what one would expect to find in a bustling metropolis turned undead. Luckily for Nick Ramos, the game's protagonist, it looks as though players will have abundant tools to fight back against the ravenous hordes that populate Los Peridos, inclusing hundreds of unique weapons that can be found throughout the city. You'll also be able to create and customize new weapons using items you find as you work your way through the city. During the game's demonstration, for instance, a flashlight was strapped to a gun to make it easier to aim in a dark space. The game's open world nature will also give multiple options for evading hordes that are too large to fight. In the demo, Nick could be seen climbing up on rough tops and working his way through buildings to escape hungry zombies. Likewise, he was able to use flares to distract them and board a car that he then used to escape. The game will also feature SmartGlass integration which, during the demonstration, was used to call in artillery fire to help clear a path through a horde that was both too big to fight and avoid.